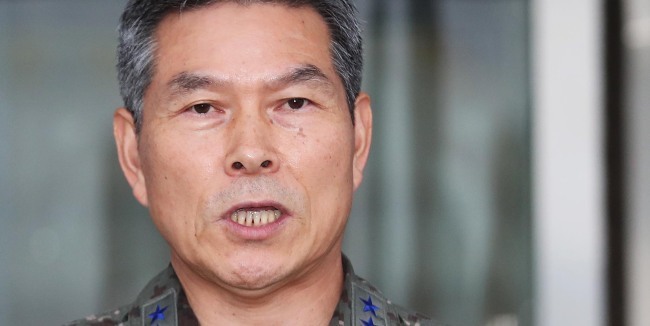 Defense Minister nominee Jeong Kyeong-doo, the current chairman of the Joint Chiefs of Staff, is seen as an expert in joint military operations and fit for defense reform long marred by inter-service rivalries. The defense reform plan, which involves a reduction of 118,000 Army troops, including 66 general-level posts and seeks a "balance"
among all armed services, has apparently triggered resistance from the Army. Early this year, he reported 1.09 billion won ($987,956) in his total wealth. 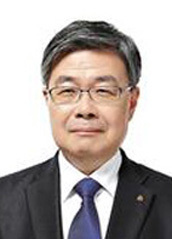 Sung Yun-mo, the nominee to head the Ministry of Trade, Industry and Energy, is an incumbent chief of the Korea Intellectual Property Office with expertise in designing and implementing industrial policies. Sung, 55, a graduate of Seoul National University, entered the government in 1988 after passing the high-level public service exam and has served in various positions at the industry ministry, including as its spokesperson. Sung earned a doctoral degree from the University of Missouri in 1998 and took up various posts related to industrial policies. In 2016, Sung served as an economic policy director at the Office for Government Policy Coordination and became the head of the intellectual property office in 2017. While the ministry has focused on energy transformation policy under the current minister Paik Un-gyu over the past year, market watchers have urged the government to come up with a more comprehensive industrial policy to support the sluggish auto and shipbuilding sectors. Calls have also risen for the government to play a role in developing the nation's semiconductor industry to a new level to fend off rising challenges from Chinese companies backed by the Beijing government. 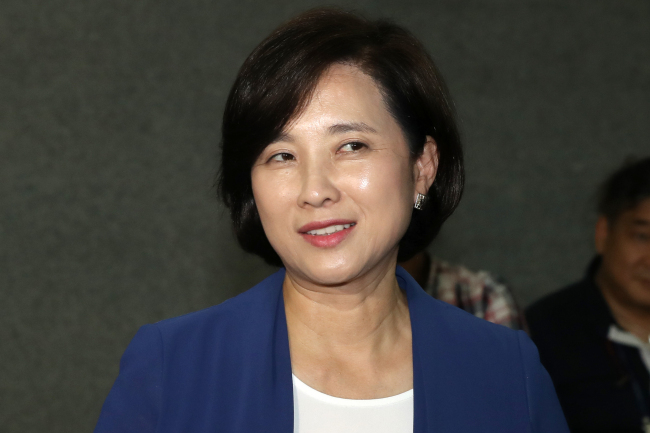 Education Minister nominee Yoo Eun-hae is a two-term lawmaker who has honed her expertise in education issues while serving at the parliamentary education committee for the past seven years. Yoo's nomination also underlines President Moon Jae-in's policy to put more women in important positions. Moon has advocated greater roles for women and pledged during the campaign to fill 30 percent of the Cabinet positions with women. Yoo, 55, also served as a spokesperson of Moon during the campaign. As a student of Seoul's Sungkyunkwan University, Yoo engaged in pro-democracy and labor movement during the administration of former strongman President Chun Doo-hwan. She entered politics in the mid-1990s and was first elected lawmaker in 2012 and won re-election in 2016. As a lawmaker, she has been only on the parliamentary education committee and has led a series of bills aimed at improving the education sector. Yoo also has personal ties with President Moon. Her father died from overwork when she was a high school student, and it was Moon, then a lawyer, who helped Yoo's family win state recognition that the death was an industrial disaster. 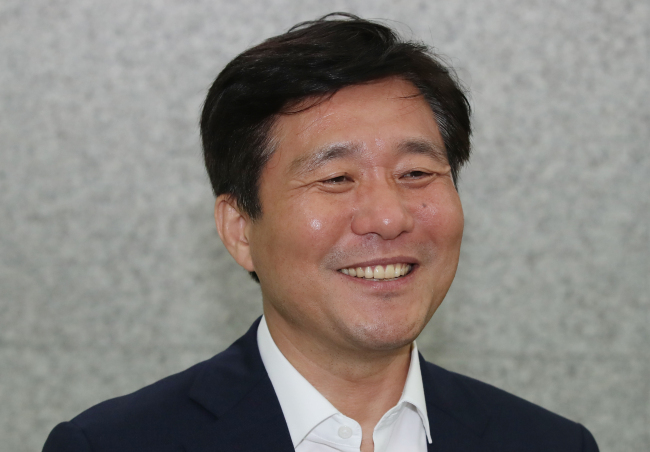 New Labor Minister nominee Lee Jae-kap is a technocrat with more than 30 years of experience of handling labor and employment issues and is considered the right person to carry out the Moon Jae-in government's job creation policy. Lee, 60, a graduate of Korea University in Seoul, entered the government in 1987 after passing the high-level public service exam and has since served in various positions at the labor ministry, including vice minister. Lee also served as head of the Korea Workers Compensation and Welfare Service from 2013-2016. While at the ministry, Lee built expertise in employment policy and is widely regarded as one of the best people to move the government's job creation policy forward. After the Moon government came into office, Lee was talked about as its first labor minister. Ministry officials recall Lee as a quiet and scholarly yet charismatic leader. He has also been good at self-control with no ethical lapses reported in more than 30 years of public service. Still, detractors say he could lack a reformist mindset, pointing out the fact that he served as vice labor minister during the then administration of anti-labor and pro-business President Lee Myung-bak. 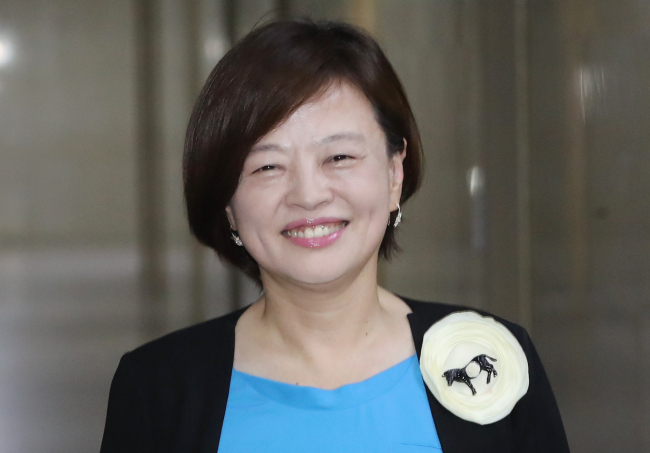 Jin Sun-mee, a lawyer-turned-lawmaker who played a key role in President Moon Jae-in's election campaign, was nominated to lead the Ministry of Gender Equality and Family. Jin, 51, started her career as a lawyer in 1999, having graduated Sungkyunkwan University with a law degree and passed the national bar exam in 1996. She entered politics in 2002 as a lawmaker of the now ruling Democratic Party, after serving as the chairman of the women's rights committee at the progressive lawyers' association, the Lawyers for a Democratic Society, better known as Minbyun, from 2005-2007. In 2012, Min served as a co-spokesperson for Moon's presidential election camp. In the election, Moon was defeated by his conservative rival Park Geun-hye. Jin joined Moon's election campaign again in 2017, when a by-election was conducted after Park's ouster. The two-term lawmaker is currently a vice floor leader of the ruling party.